The one food I could not live without is butter, and by that I mean salty, creamy, proper Irish butter. Most of the countries that I’ve visited sell pretty awful butter: unsalted, pale and often with a little bit of a ‘lardy’ look about it. I’m not ashamed to say that I bought Kerrygold in the Newport Stop & Shop quite regularly, and it was definitely worth the $8 spend each and every time. One country I did find good butter in was France. 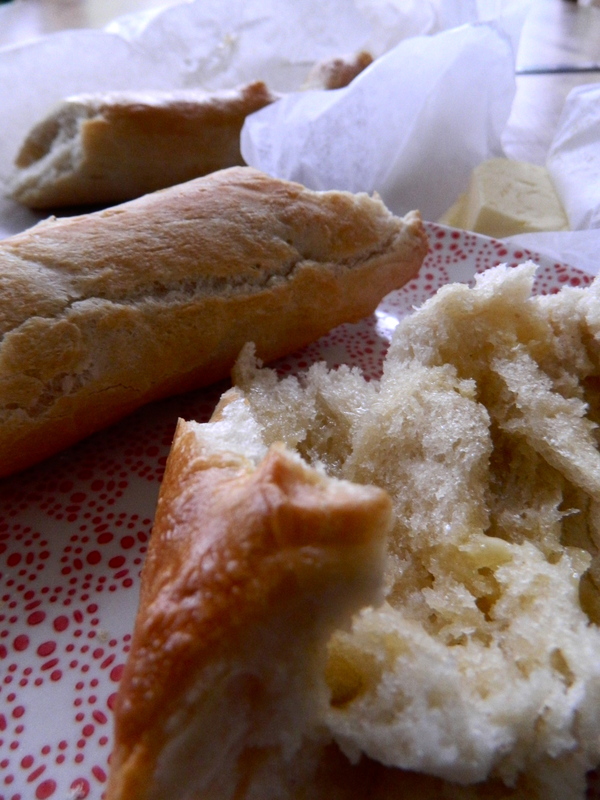 A rather lonely fortnight in the depths of the Orléans countryside was improved slightly by the ludicrously good Fleur du Sel de Guérande butter that my exchange family bought each week – lightly salted butter with tiny flecks of the delicate, greyish sea salt; heartbreakingly good on fresh bread. I probably eat a little bit more butter than I should, but I think that while it certainly is high in fat, unadulterated Irish butter is probably better for you than any spread and may even just be good for you, full stop. With all of this in mind, I decided to try making butter myself this morning. Properly this time, and not just by leaving the electric beaters on for too long. It was easy and fun to make; one minute you have thick, too thick, whipped cream and the next you have butter and buttermilk and a desire to bake bread. Pour the cream into a free-standing mixer bowl and set to mix for around ten minutes. 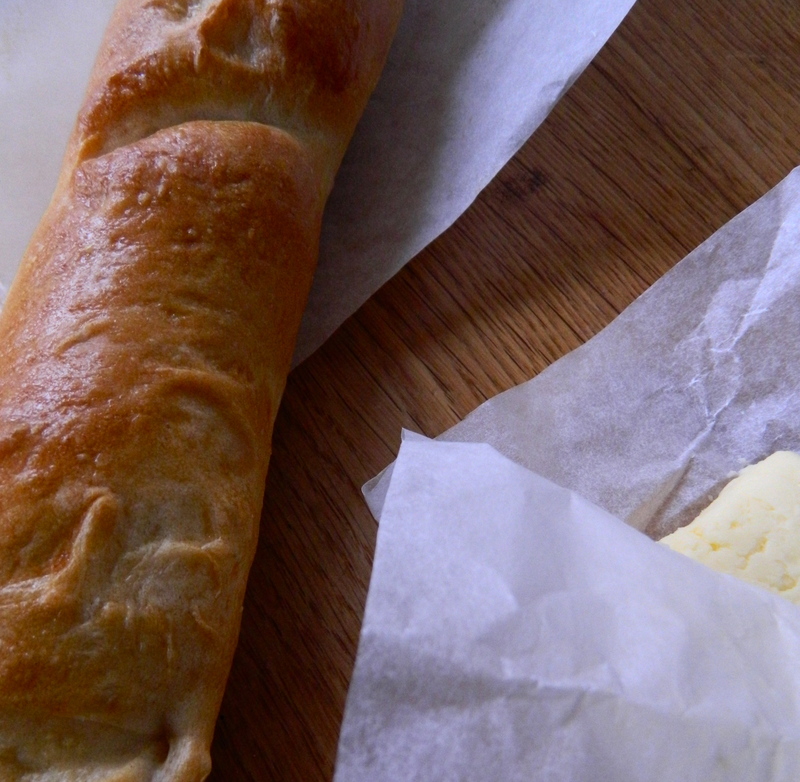 The cream will thicken and turn a pale yellow but the butter isn’t ready until – suddenly! – you hear a splash and you realize that the butter has separated from the buttermilk. Drain the buttermilk, set aside for scones, pancakes etc and then strain the liquid off completely in a sieve. Using cold utensils (warm ones will melt the butter), work salt into the butter and smooth the surface. If you want to add flavourings like honey or herbs do it at this stage. Shape the butter into the desired form and refrigerate. It will keep for a week in the fridge. The baguettes were a little trickier to make but they turned out really well. I tried a recipe from the America’s Test Kitchen website which describes the baguettes as ‘light, airy loaves that are actually worth the trouble’, which I would tend to agree with as a description. This was hands down the best bread I’ve ever made but it was a bit of an operation. Anyway. It was worth it.